It’s spring! And it’s time for the grills to get some love. 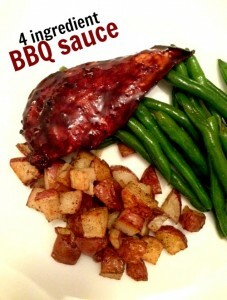 You can make this 4-ingredient BBQ sauce and it’s great on chicken, ribs, veggies, or whatever else you’d like to put it on. If you don’t have a grill, no worries. 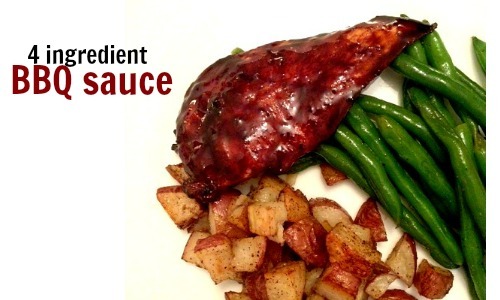 You can use this sauce with baked meats and vegetables as well. Combine all ingredients in a small saucepan over medium low heat. Bring the mixture to a very gentle simmer, whisking often, and allow to simmer until the sauce thickens, about 7-10 minutes. Remove from heat, stir, and use on grilled meats and vegetables.